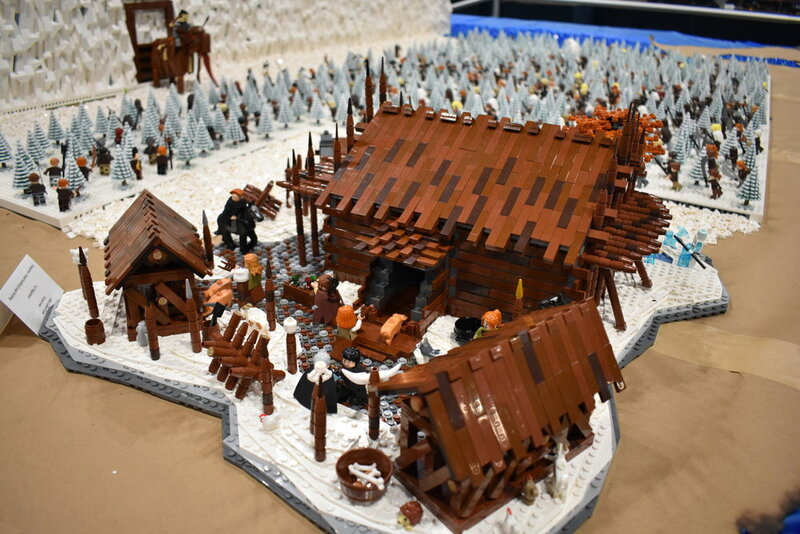 Brickworld 2017! This year, the VLUG crew conspired to produce a LEGO version of the hit TV series Game of Thrones, or, as we call it, Brick of Thrones. I was informed that there are also books. Anyway, the basic inspiration for the collaboration came from the map of Westeros, featured during the introduction to each episode. As you scroll through the pictures, you'll see various landmarks, characters, and even the famous Battle of Blackwater Bay. From the Red Keep, to Castle Black, to white walkers, there's a lot to enjoy for fans of the show, and even for those who've never seen it. And no, for the umpteenth time, that's not Elsa. By Adam Reed Tucker and David Howard. By Adam Reed Tucker and David Howard. Battle of Blackwater Bay by Dennis Price. By Bart and Alex Larrow.